After getting arrested for DUI in Los Angeles recently, you’ve had time to ponder the incident and “tell yourself stories” about why it happened and who/what should be blamed. • Perhaps you drove on a suspended license, even though you understood the dire potential punishments. 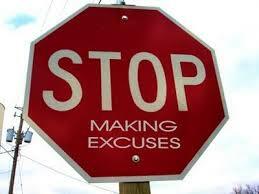 It’s difficult to examine excuses and to take responsibility for what happened. DUI driving is seen as a behavior to be avoided at all costs, so we rarely explore the unmet needs underneath our dangerous actions. For instance, let’s say that you drove while buzzed, because you really wanted to hang out with some cool new girls you met at fraternity party. You knew “it was stupid,” but you overrode your instincts. Why? Perhaps you were lonely. Or perhaps you were having a great time after a stressful semester of classes, and you just really needed to some fun. Our fundamental needs for companionship and fun are not “bad” – they are very human and very essential. You just chose a poor strategy (driving DUI) to try to meet those needs. Considered in this way, the DUI event was neither bad nor good but rather an inelegant strategy to meet needs. For actionable insight into what to do after your Los Angeles DUI, connect with attorney Michael Kraut of the Kraut Law Group. Mr. Kraut is a Harvard Law School educated ex-prosecutor with ample experience and lots of connections.